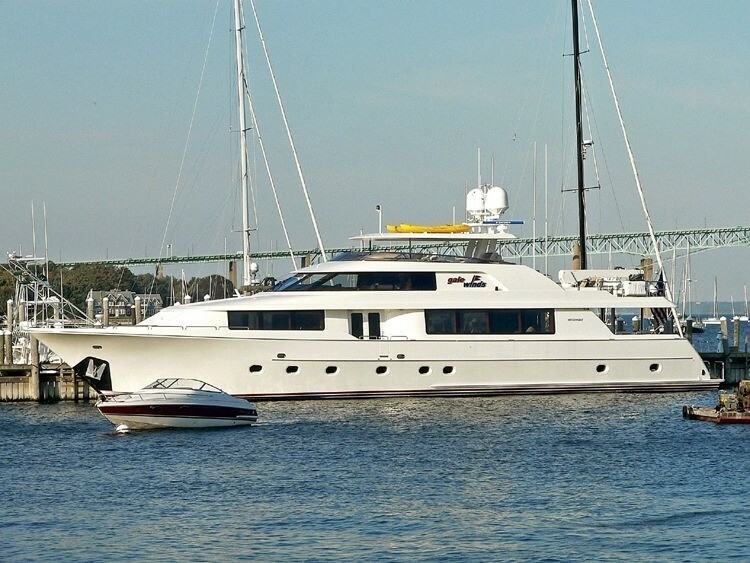 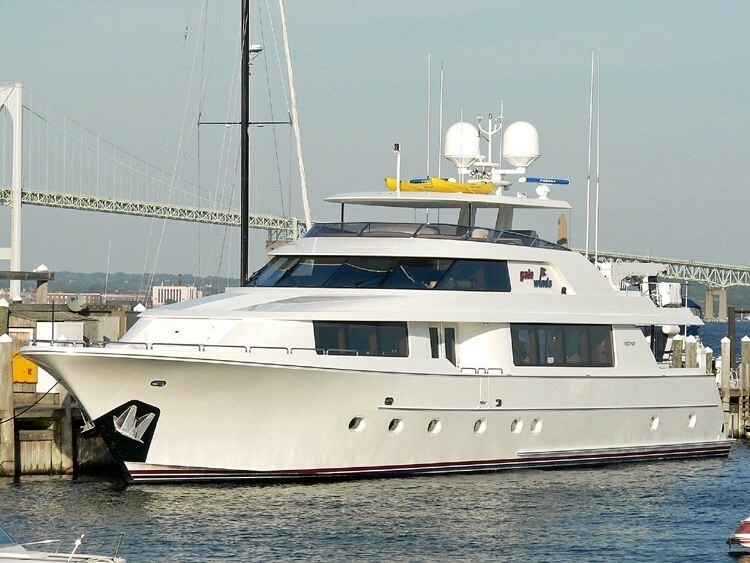 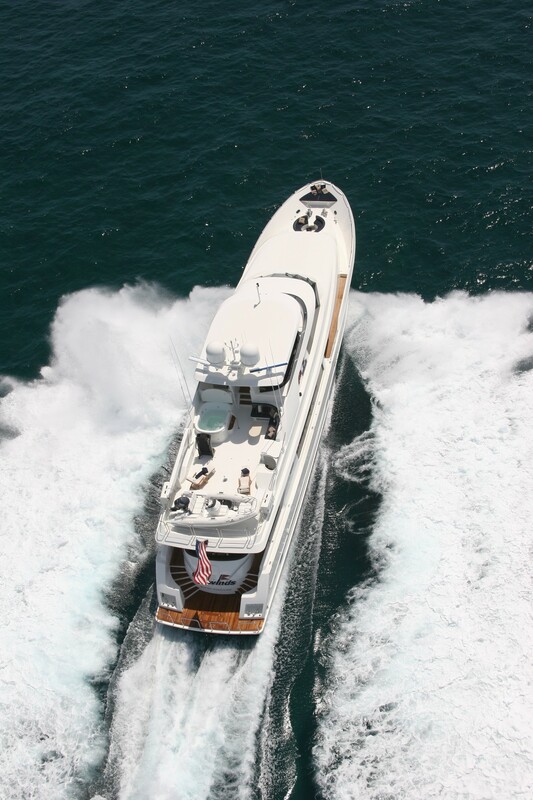 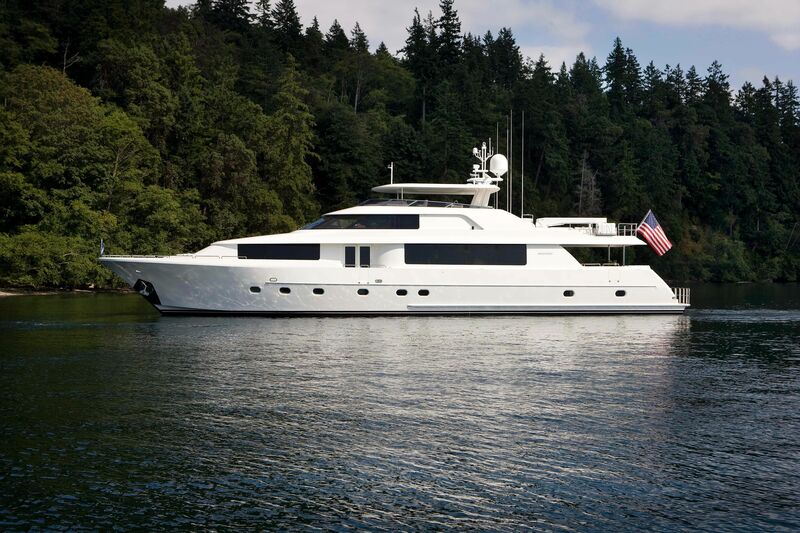 Motor yacht DREAM WEAVER is a 112 foot Westport Hardtop charter yacht launched in 2006. 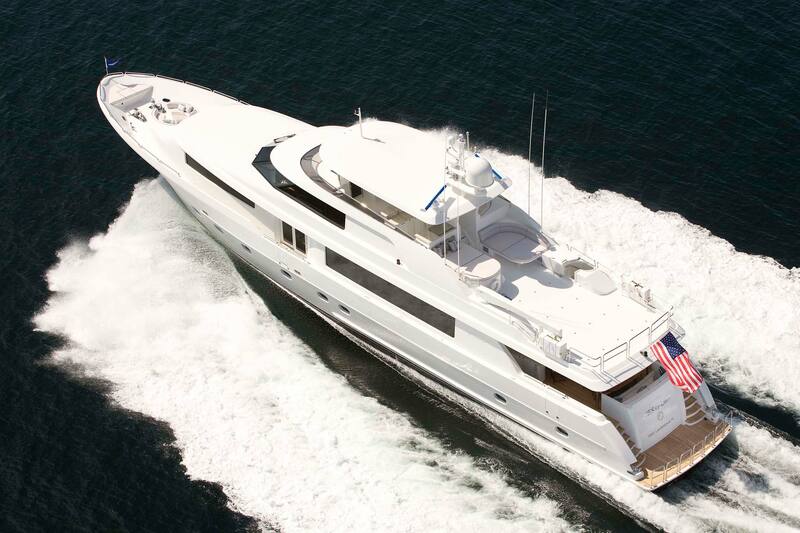 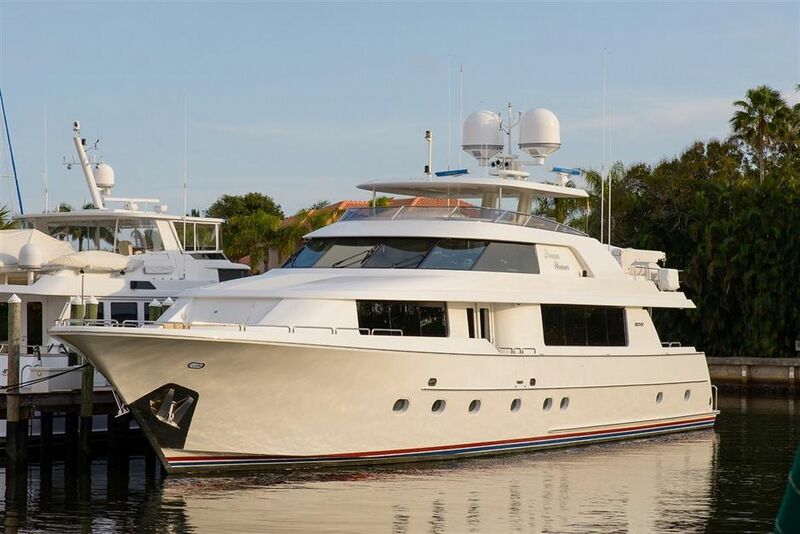 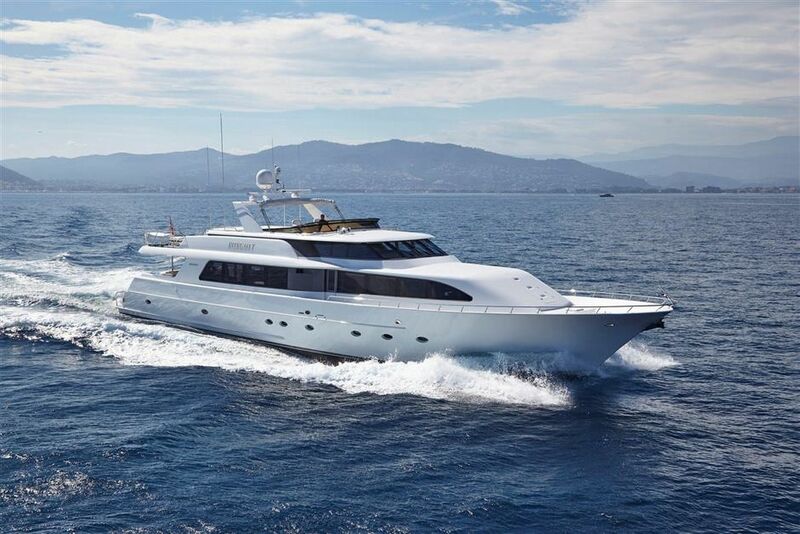 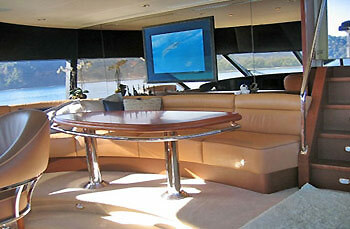 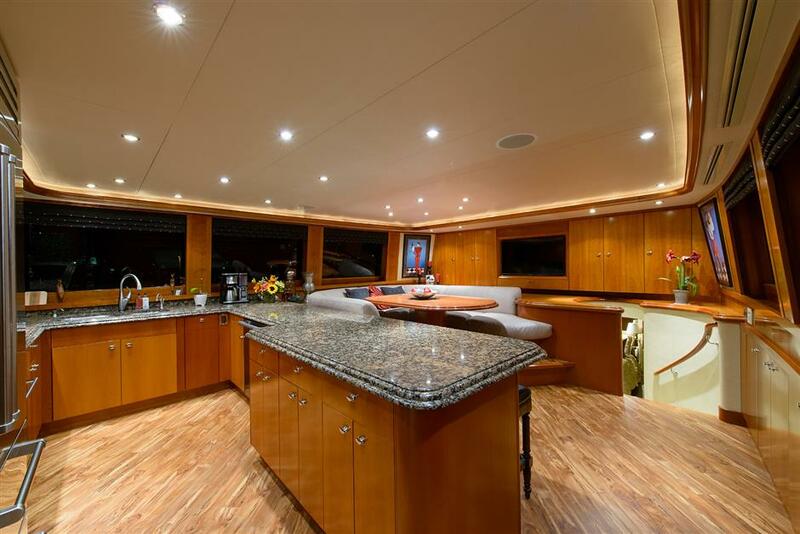 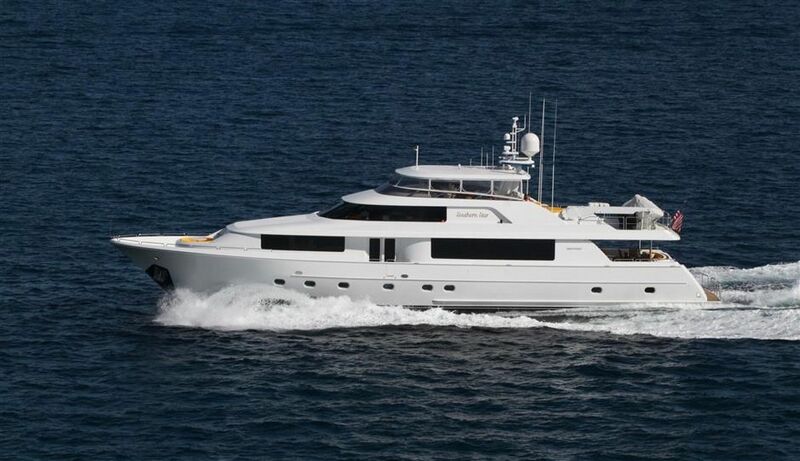 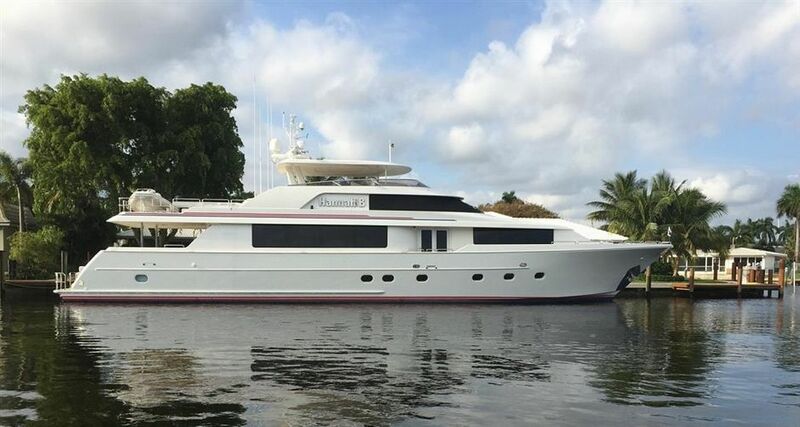 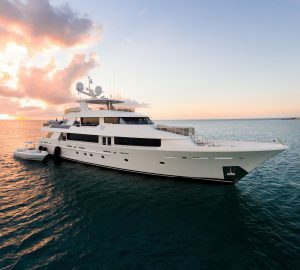 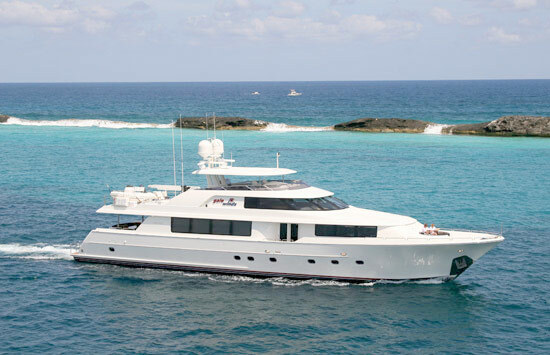 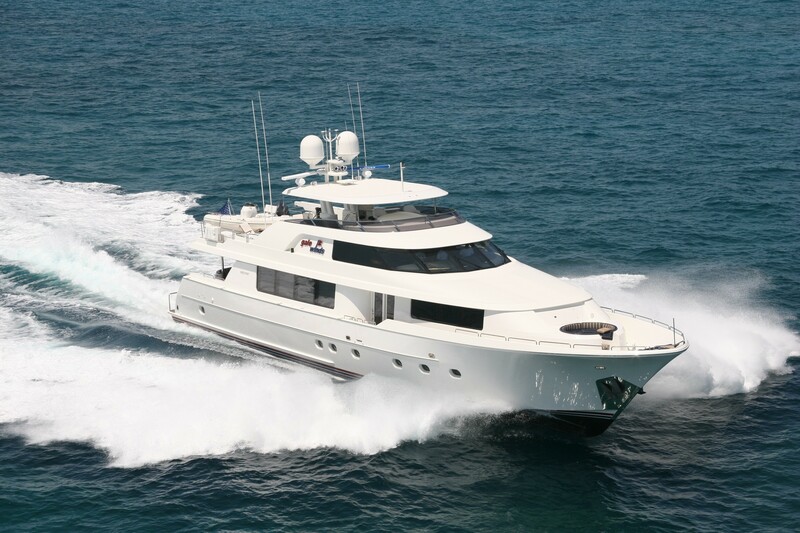 This motor yacht makes for a fantastic Bahamas charter vacation accommodating up to 10 guests overnight. 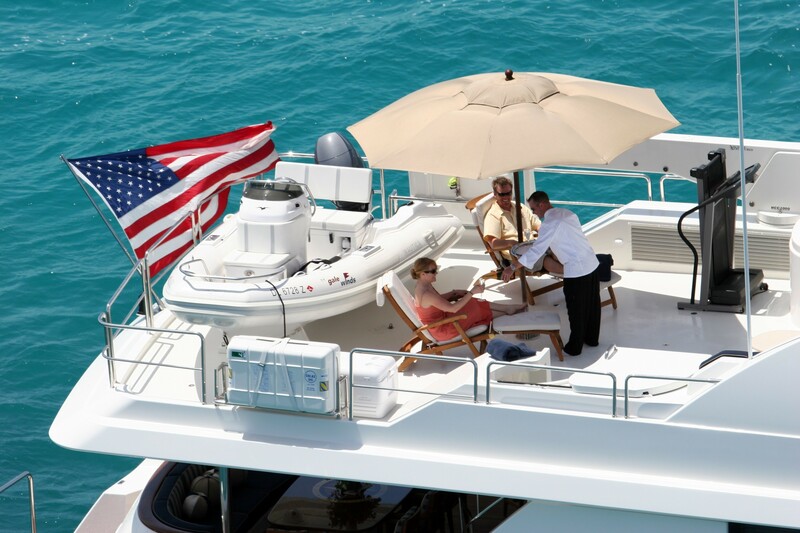 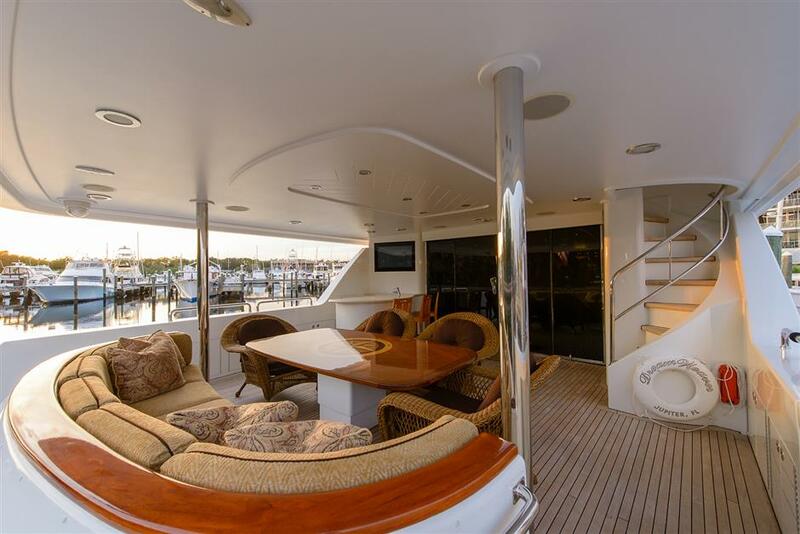 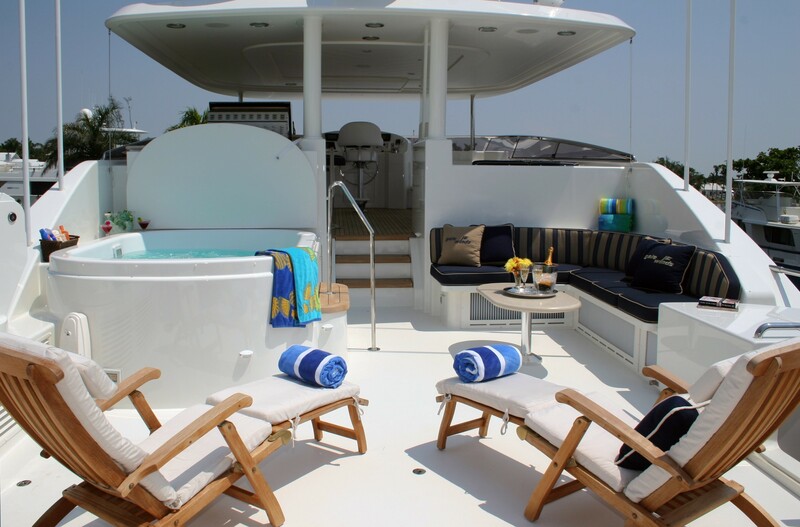 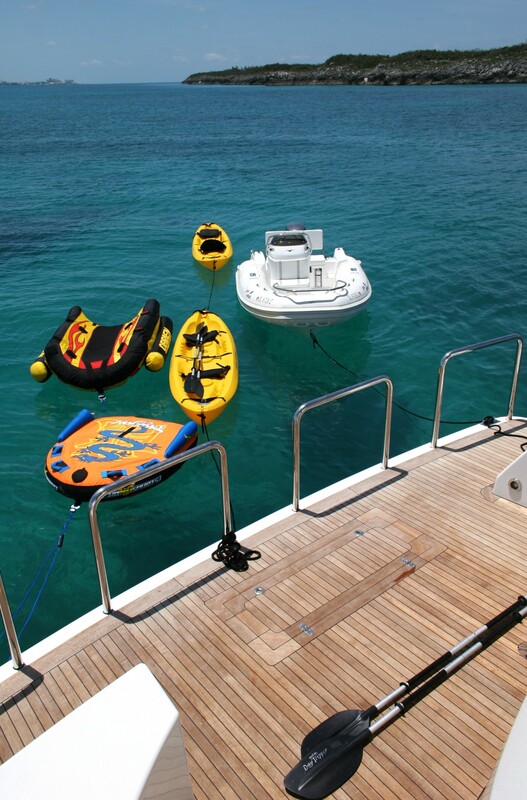 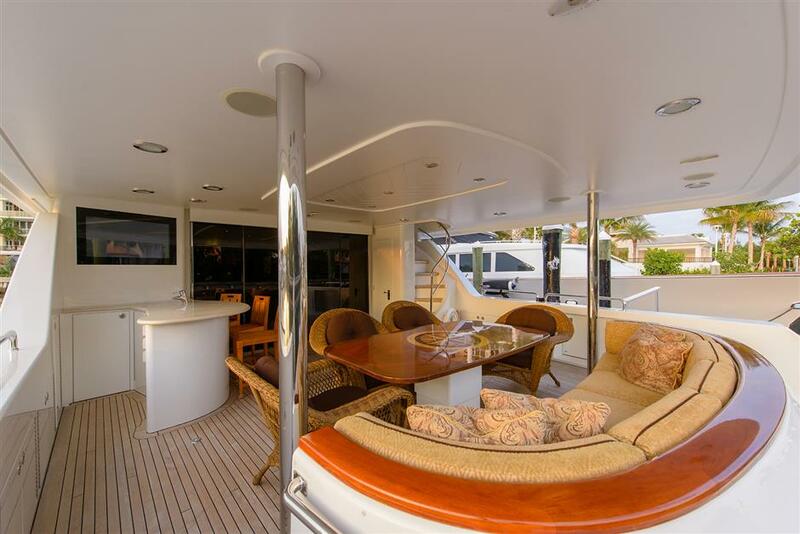 Yacht DREAM WEAVER (ex GALE WINDS) offers a broad upper sun deck which offers a Spa Pool pool, barbecue, bar and stools, and tables and chairs. 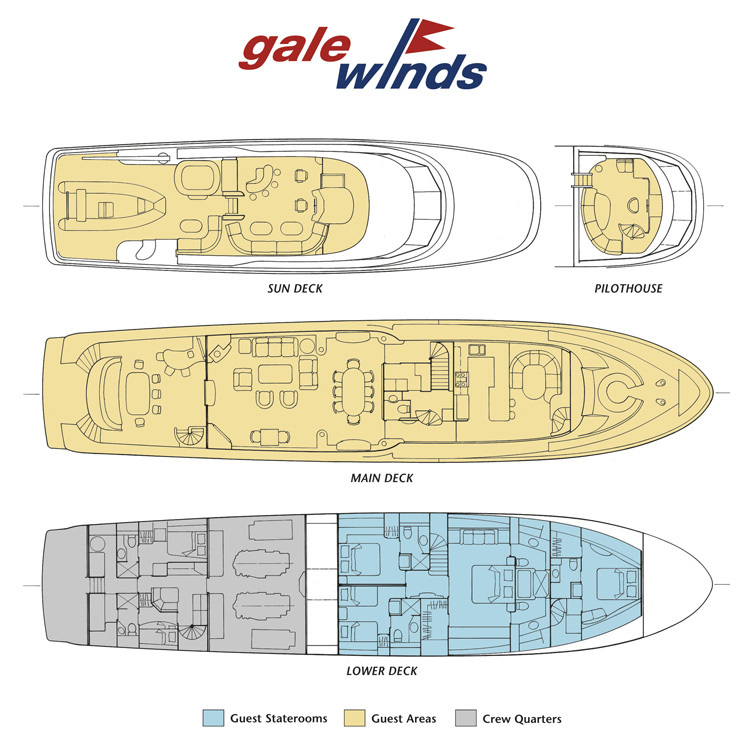 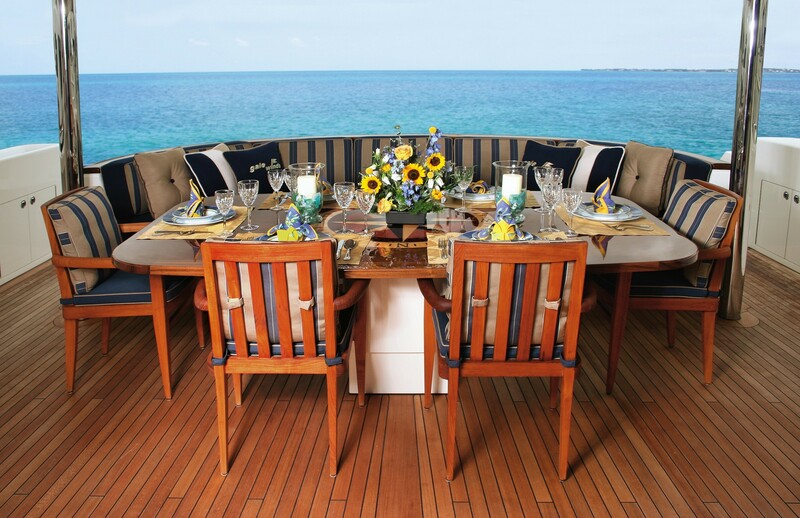 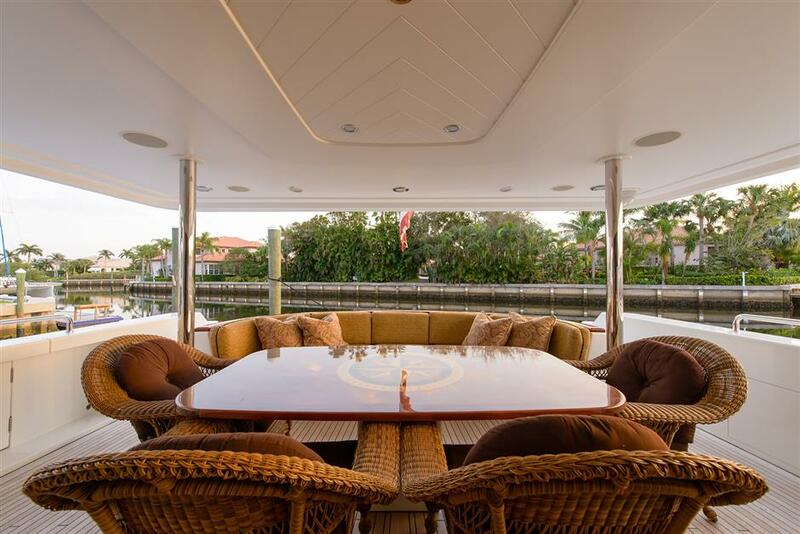 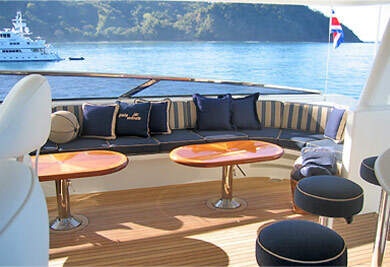 The spacious aft deck, with its large table and seating area, is another popular gathering spot, whether for morning coffee, lazy afternoons, or cocktails and dinner in the gentle breezes. 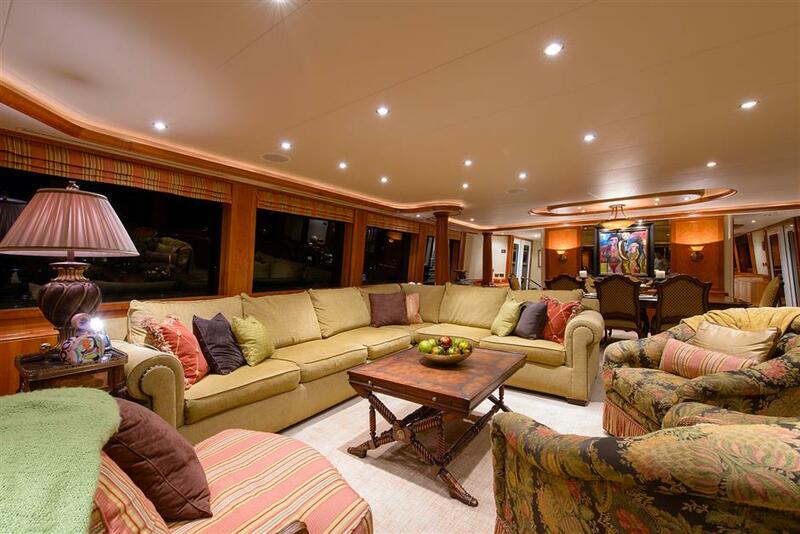 M/Y DREAM WEAVER has a saloon with large windows which welcomes the sunshine and affords grand views whilst also maintaining privacy. 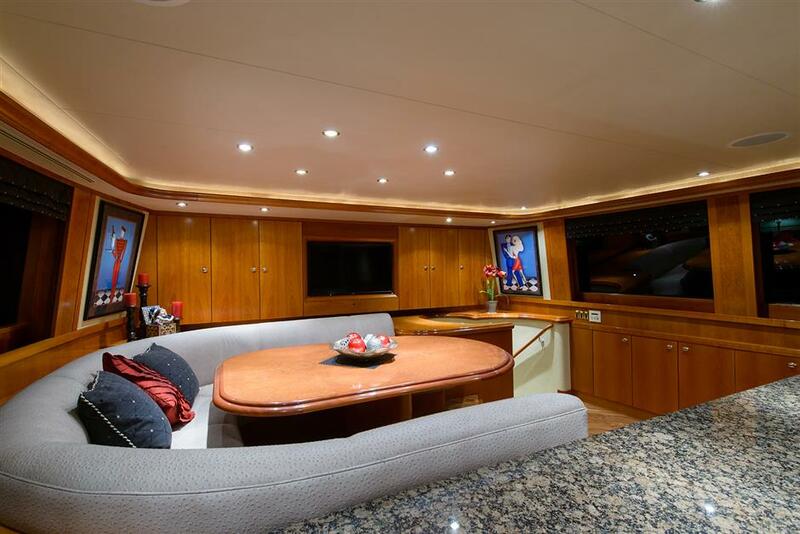 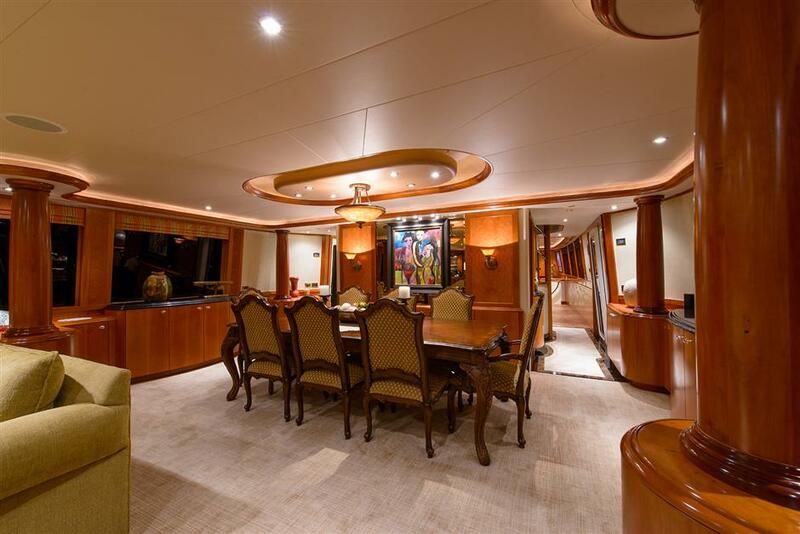 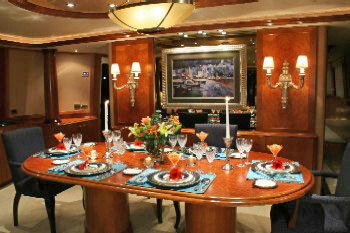 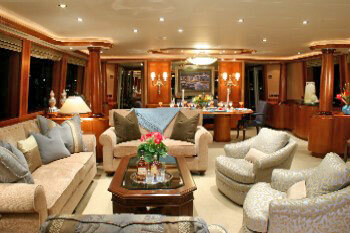 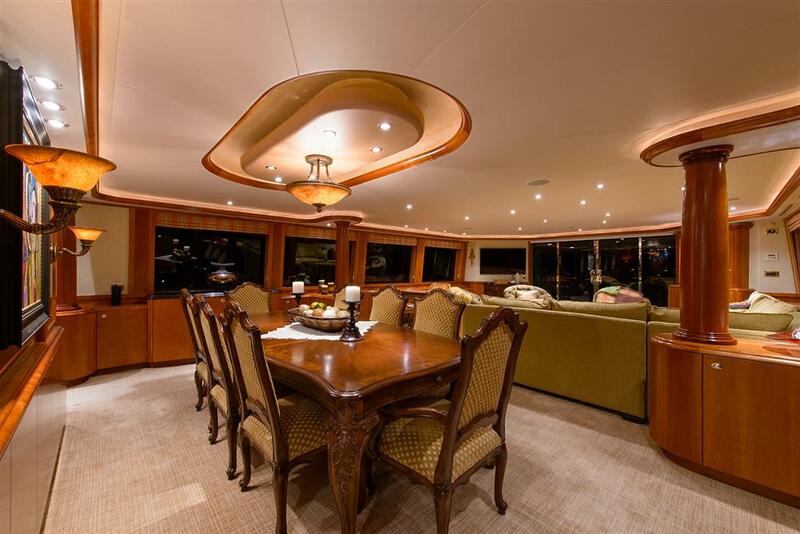 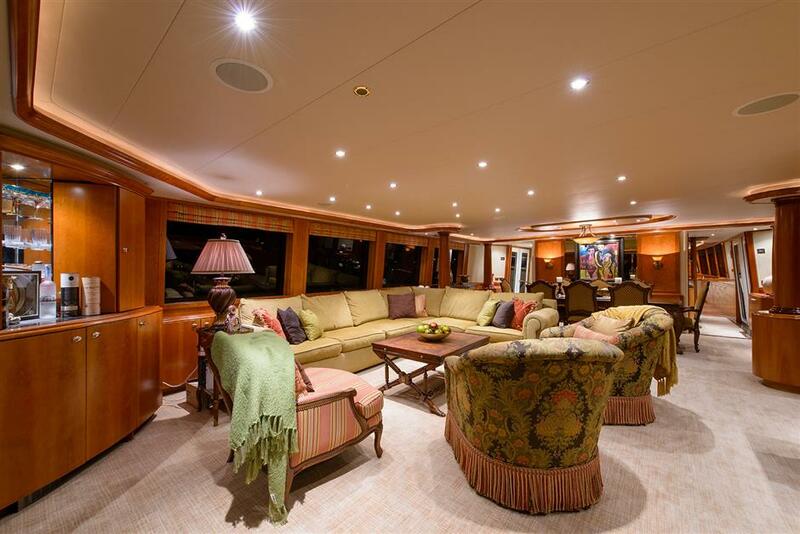 The yacht’s lovely dining area is enhanced by Waterford china and crystal, as well as full silver service. 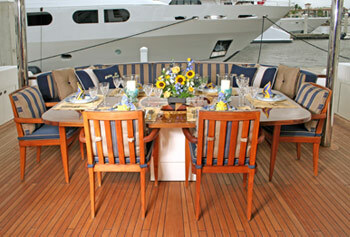 Beyond is a bright and cheerful country galley, just right for less formal meals. 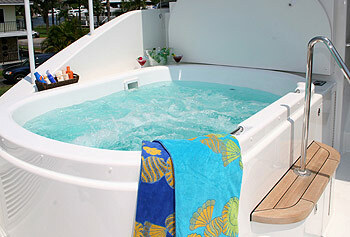 Master Stateroom, below amidship: King size bed, TV/VCR/ Music system, walk-in wardrobe, ensuite his and her bath with whirlpool tub and shower and bidet. 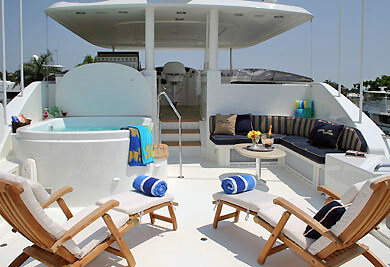 VIP Stateroom, below, forward: Queen size bed, TV/VCR/Denon Music system, ensuite bath with shower and bidet. 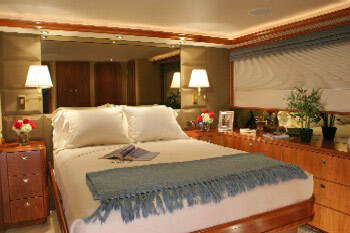 Guest Stateroom, below deck, starboard: Queen size bed, TV/VCR/ Music system, ensuite bath with shower. 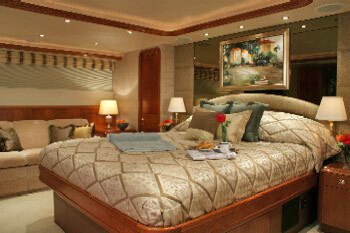 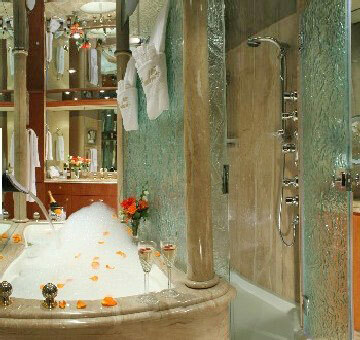 Guest Stateroom, below port: Twin beds, can be converted to king bed, TV/VCR/ music system, ensuite bath with shower. 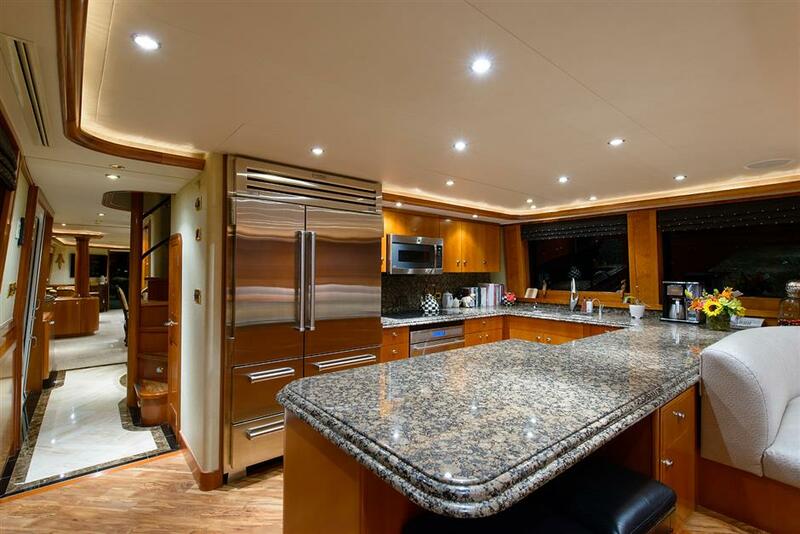 Morning kitchen in guest cabin area.